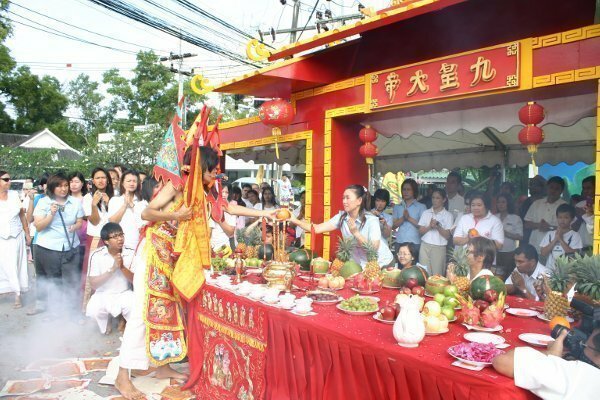 Laguna Phuket sets up an offering table at the entrance to worship the “Chinese Gods Street Procession” from Saam Ong Hoo Shrine in Cherng Talay during this year’s Phuket Vegetarian Festival, an act believed to bring luck and prosperity. The event was attended by Khun Niyom Tassaneetipagorn, Senior Assistant Vice President – Government & Community Relations, General Managers of Laguna Phuket hotels, and guests. 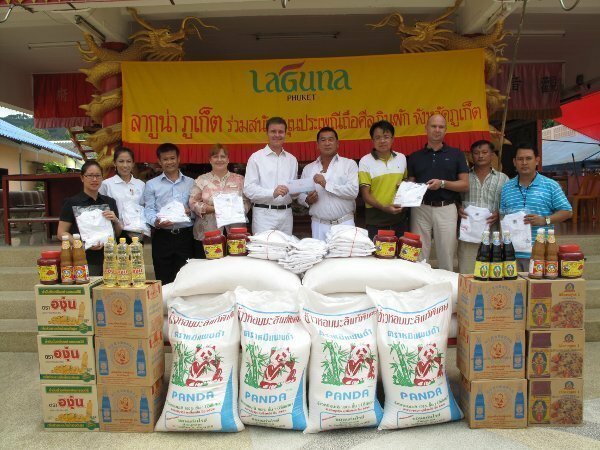 Laguna Phuket also donated rice and food items to local shrines. 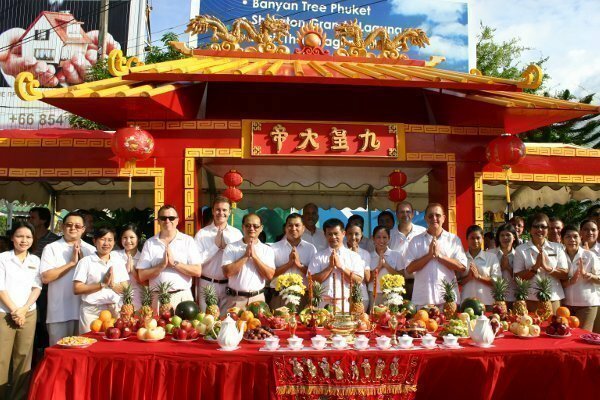 Phuket Vegetarian Festival has long been observed by Thais with Chinese ancestry, particularly from Hokkien (Fujian) region. When an entire traveling Chinese opera company performing in Kathu Sub-District fell ill, a strict vegetarian diet to honor two emperor gods had to be kept for the sickness to disappear. The event marked the first observation of the ritual.